Award-winning drinks design agency BD Creative has been renamed as Barlow & Co as it celebrates its 21st birthday. 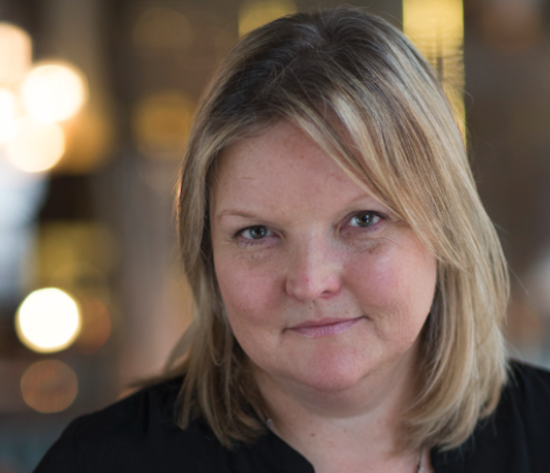 Abigail Barlow set up the firm back in 1998 and it has since worked with leading retailers including Asda and Spar, large global brands such as McGuigan and boutique producers like Jenkyn Place in Hampshire. We caught up with Barlow to find out her reflections on the past 21 years, her vision for the future and her advice for retailers bidding to create an exciting and visibly appealing wine range. Why did you change the name and refresh the branding of your company? In our ever-evolving industry, any brand that stands still and does not move with the times risks becoming irrelevant and getting left behind. We recognised the need for an identity that better communicated exactly who we are and what we do. I bring 30-plus years of wine and drinks trade experience to my company, but it’s not just about me. Everything we do is a collaboration: both within our team and more importantly, with our clients. This going beyond the label really is our USP. Barlow & Co – think of it as ‘co’ for collaboration and ‘co’ for our company teamwork. How has wine design evolved over the past 21 years? Back in 1998 it was the beginning of exclusive labels, which were created by us in the UK, specifically for UK customers – namely the grocers – with tailored design for the trade and buyers and delivered by us. It allowed scope for creativity and exploration away from brands, which were more traditional in style. It also created the right environment for us to create the successful Pendulum [the chrome sprayed bottle], which sold over 1 million units at its peak through Western Wines. In terms of design style, 21 years ago we were looking to move away from traditional labels – vineyard scene, lots of text, script fonts, seals, etc. Everyone wanted modern, simple and fresh. Now of course we are seeing a big push back to craft, and this is expressed through reconnecting with the producers, provenance and history, although this time we are doing it with a contemporary twist. So we are connecting with our roots and re-working it for the 21st century. What are the challenges faced in trying to gain shelf standout for wine? The curve of the bottle, how the light hits the shelves, reading the brand name, communicating quickly what the wine is, looking different to competitors, what is memorable for consumers – it’s the one with the kangaroo, yellow label etc – and also the need to think about fridges for whites and ensuring the paper isn’t affected by moisture. How does it compare to other drinks categories like beer and spirits, which seem to have more scope to innovate with bottle shapes and sizes? There are some constraints with wine and that’s why you don’t see as much innovation with bottle shapes and sizes. Firstly margin – wine is a low margin product and doesn’t have budget like spirits to commission new bottle shapes, which are very expensive at the outset. Quite a lot of mainstream wine is bottled in the UK by two or three main bottlers and they only offer a limited range of shapes and colours. Secondly, size. We can only sell wine in certain sizes by law and this creates a constraint in itself. Would you like to see more innovation in wine? Yes, of course. But I do think that wine outside of entry level is the ultimate craft product and while we need innovation it doesn’t mean innovation for innovation’s sake. What I would like to see is more authenticity and diversity in design and shape. I’d like to see the walls of similar looking bottles in supermarkets be broken up and appeal to different consumer groups. Like we did with Wine Atlas at Asda. 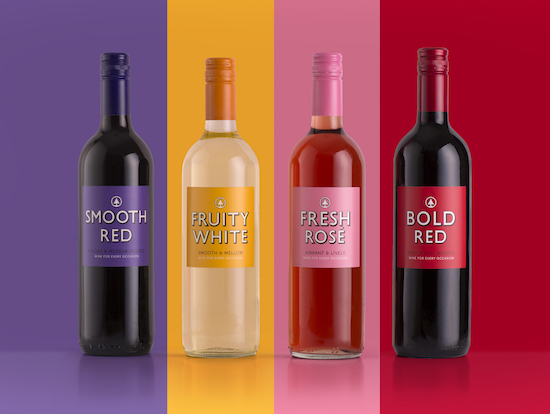 There are opportunities for engagement with different sizes and formats but these also need shelf space, and therefore need to be reassuring to consumers as they still find wine to be complex. There is so much choice and the fear of buying the wrong thing is still very much a concern. Do you have any tips for retailers to put together a range that looks exciting and stylish? Allow your wines to be designed differently, so you allow different consumers engage. Remember beauty is in the eye of the beholder. Don’t design by gender, design by story and look and feel. Let the wines tell their stories and let them be visually different. Why should the trade commission you to design their drinks? We are based in a country that is widely regarded as the world wine shop. We buy wines from all over the world so don’t have pre-conceptions. We’re exposed to wines from every corner of the world so have a massive understanding of different wines. People buy with their eyes. Even more so than ever. Think about the power of social media. Instagram is key here. Beauty is in the eye of the beholder though, so it is important to design for different people. There is no one size fits all. We live in a fragmented marketplace where disrupter brands are creating new adorers.